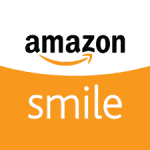 Help support RCHS every time you shop at Amazon with Amazon Smile. Select RCHS and every time you shop RCHS will get 0.5% of eligible purchases. Click here to learn more! You can purchase items from our Wish List through Amazon Smile, too! It’s easy! First, sign in to your account via Amazon Smile. Then click on “Your Lists” on the right hand side. The drop down menu shows "Find a list or registry”. In the top Amazon search area, search "Rutland County Humane Society Wish List". Our wish list will appear in the middle with our Mission Statement. Click on the Wish List to see what we need!